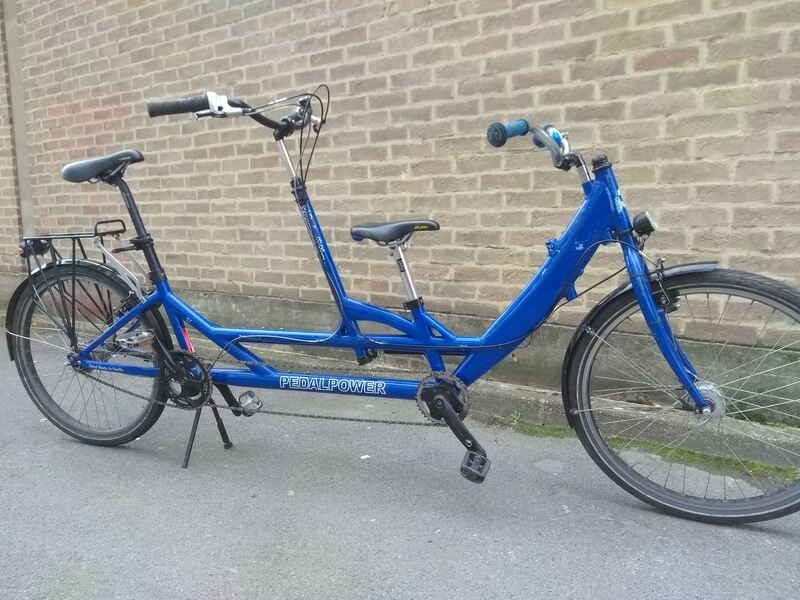 This Pedal Power tandem was purchased from us new in September 2014. 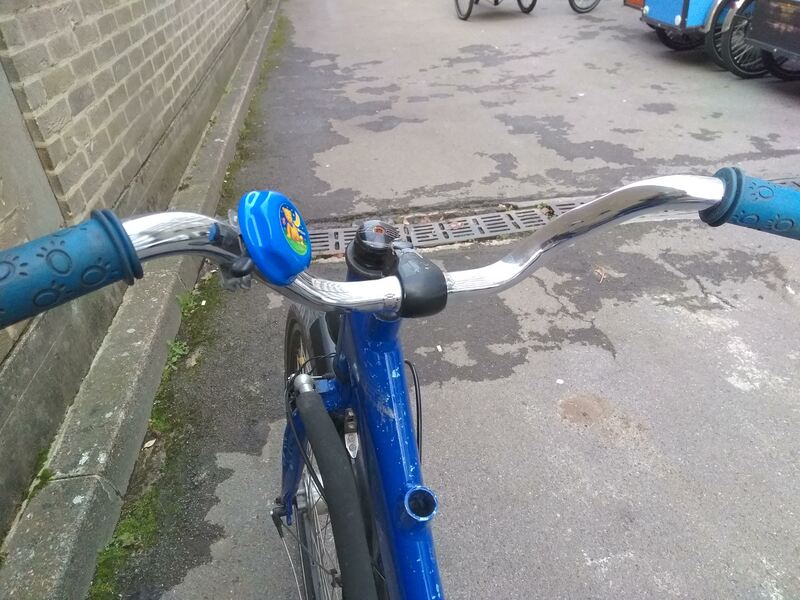 This is the Kolibri 26 model that will enable you to cycle with your child in front of you. 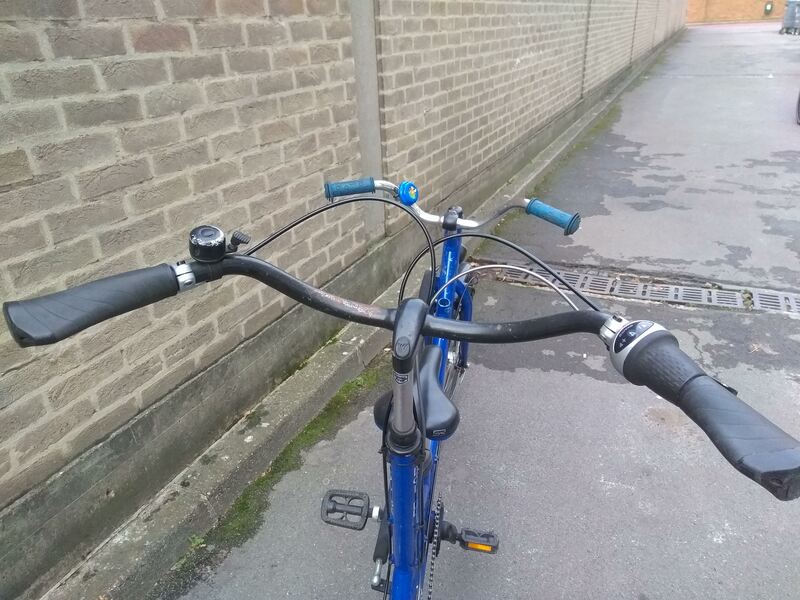 The tandem has just been serviced and fitted with new brake levers, new gear and brake cables. Available for a test ride on request. Get in touch if you want to arrange one. alu rack, center stand, AVID V-brakes. 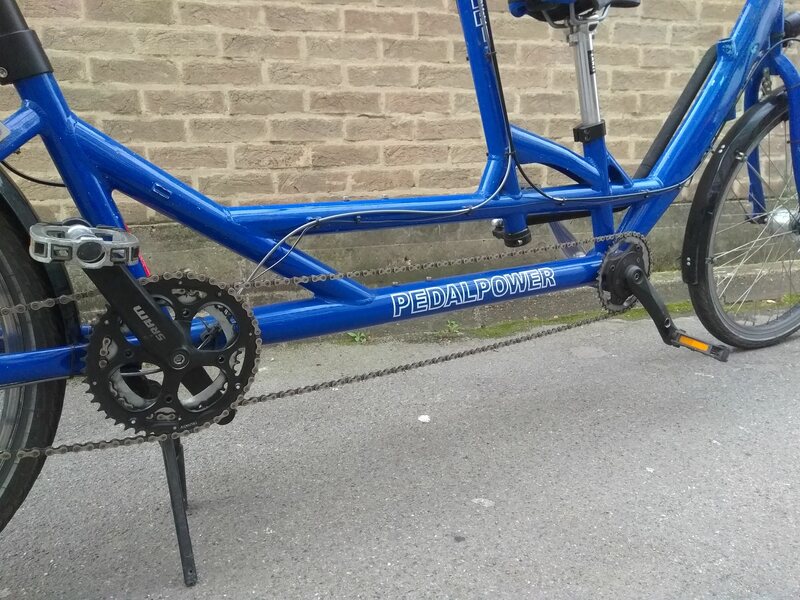 Find out more about Pedal Power and the Kolibri model. 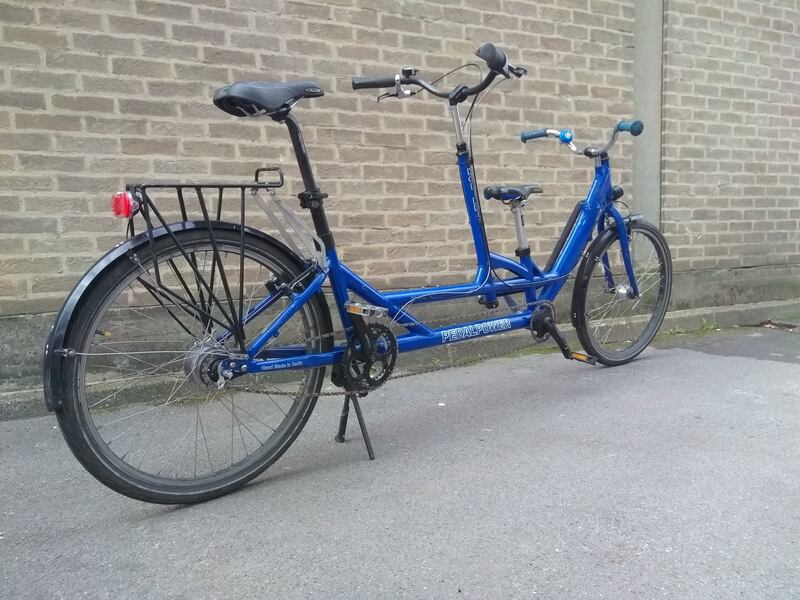 Pedal Power specialise in tandems, child transport and cargo. Their cycles are manufactured from 7005 aluminum or CroMoly. Their bike are hand-made in Berlin, Germany. The novelty is that almost all vehicles can be ordered now supported with electric systems, including BionX, 8fun / Bafang, eZee, Bosch & Brose.